In an exercise on how to keep unwanted aircraft away, CAP planes simulated a plane under stress or duress. Congratulations to Arizona Wing members on participating in this important mission. 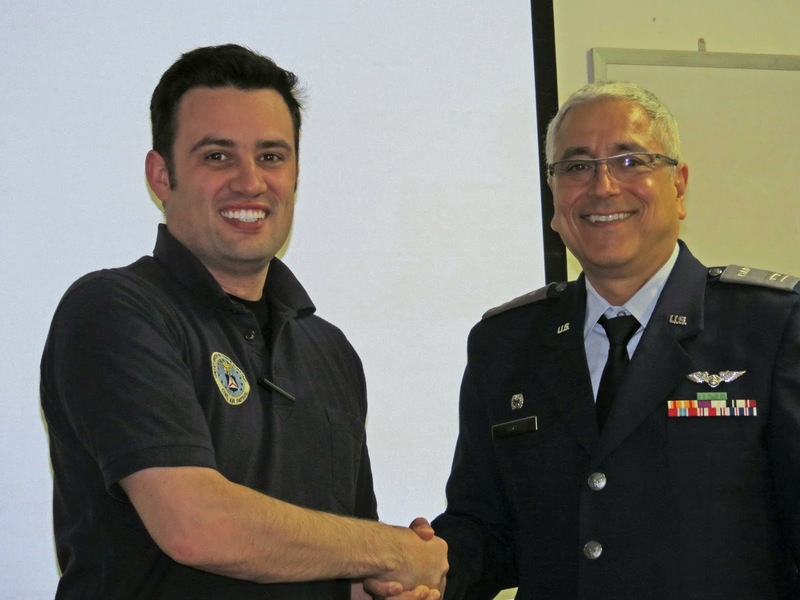 Members of Squadron 188 participated in a CAWG Comm Exercises in January. Lt Matthew Gast organized a Glider Day at Byron Airport for Senior members. 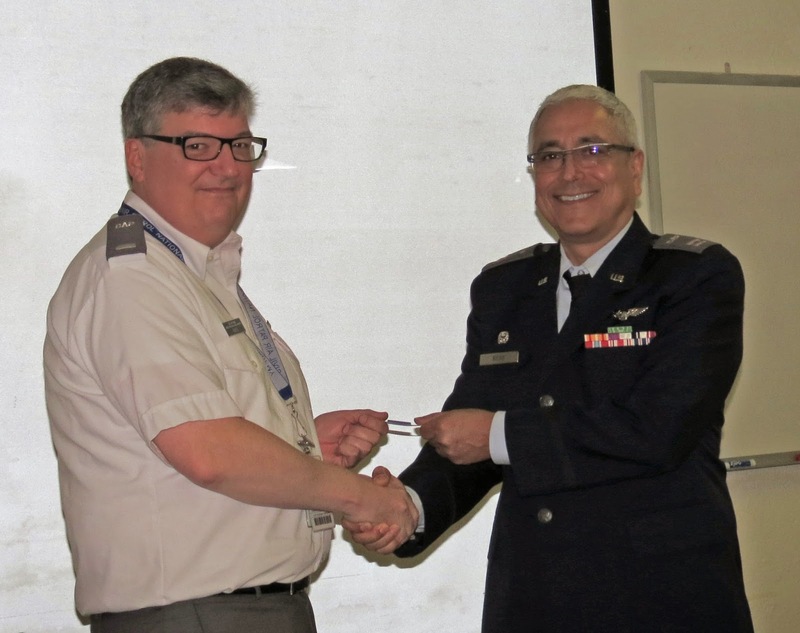 Maj Noel Luneau and Lt Hollerbach participated in an ALNOT mission in Southern California. 11 Apr Oakland: Advanced Communications Training 9am-3pm. Lt Gast and Lt Choate receiving their promotions. Pictured left to right: 2d Lt Terence Wilson, Lt Gast, Capt Georgios Michelogiannakis, Lt Choate, Capt Chris Fenolio. 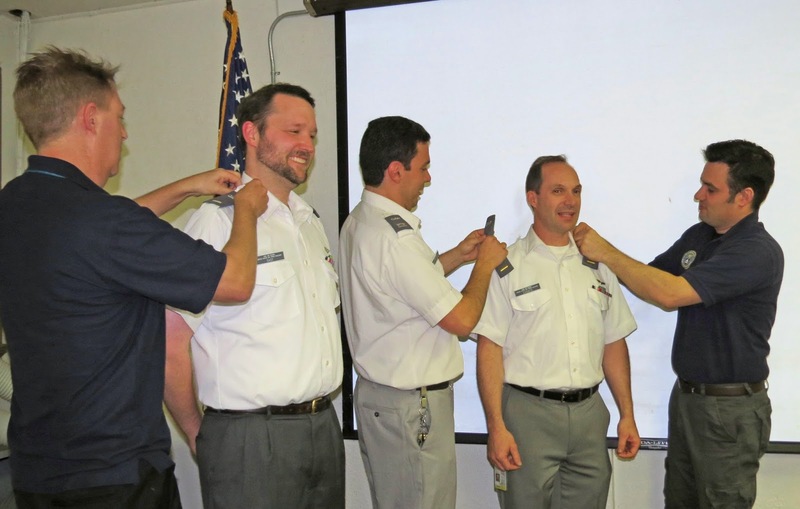 2d Lt Eric Choate, 2d Lt Matthew Gast, and 2d Lt Karin Hollerbach were promoted to 1st Lt, effective in January. Congratulations to all and welcome to the prospective new members that visited our squadron this month.